Let's get on with it right away, shall we? 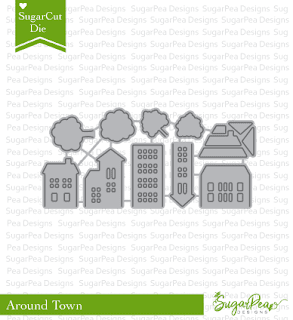 Last but not least, we are introducing these 2 fab sets, Warm Welcome, Around Town SugarCut. 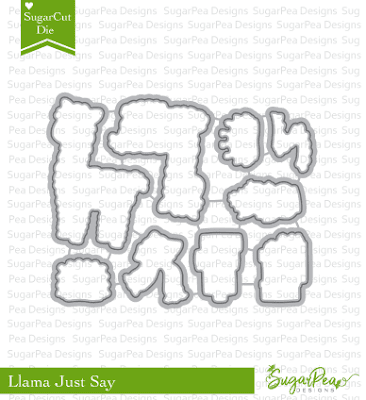 For my card, I combined it the SugarCut Starburst Cover Plate from previous release. It's always fun when I get to use previously released set with the new ones. And, I think his one make a perfect background to anchor the houses. Here's a look at the sets. 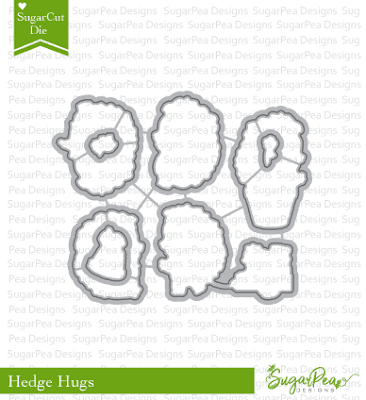 Don't forget that when you place an order* of $60 or more (excluding discounts and shipping) and you will receive SugarCut - Welcome die (shown below), FREE WHILE SUPPLIES LAST!! 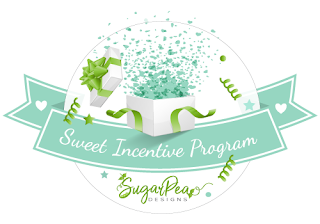 *This Sweet Incentive promotion begins Friday, June 15th at 6 PM EST. This promotion will not be applied to any orders placed prior to and only while supplies last. It is not necessary to add the Sweet Incentive promotional item to your cart or enter a coupon code, it will be automatically included on all qualifying orders! Click HERE for more details. Well peeps, that's all from me today. 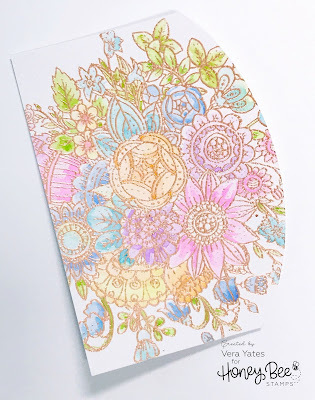 Make sure you check out SugarPea Designs blog for all the release details and for giveaway. Thank you for stopping by here and have a fantastic Friday, peeps! Hi there lovely peeps and welcome to day 4 of our Summer Product Release! We’re almost there! One more day and all 15 NEW products will be available for purchase starting this Friday, June 15th at 6 PM EST in the SPD Store. So, let's get on with today's project, shall we? 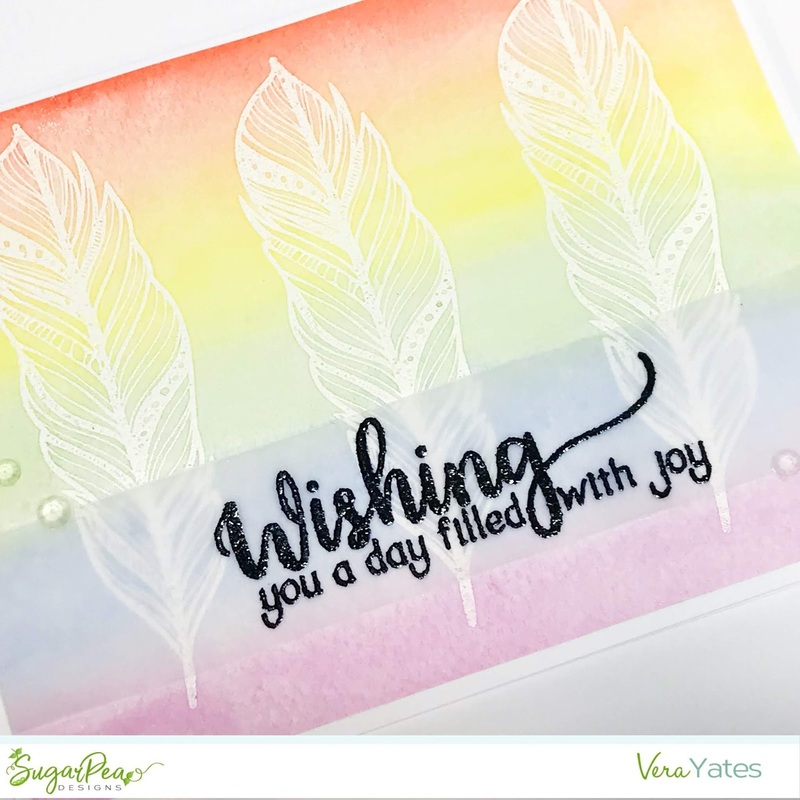 Today we're introducing BoHo Feathers, Dare To Dream, Feathers die and Dreams Word die. I love the design of the feathers on BoHo Feathers set. It looks pretty and delicate. 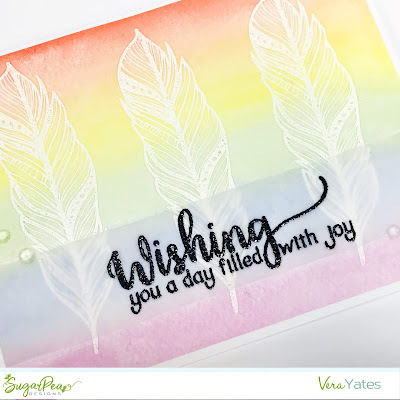 I stamped and heat embossed the feathers on a piece of watercolor cardstock and then went to town & add the watercolor rainbow to the panel. For the sentiment, I stamped and heat embossed the sentiment on a strip of vellum and wrapped it around the panel. Then, I adhere the panel to the card base. Since I love bling, I just had to add some rhinestone sequins for finishing touches. How would you like to win BoHo Feathers? 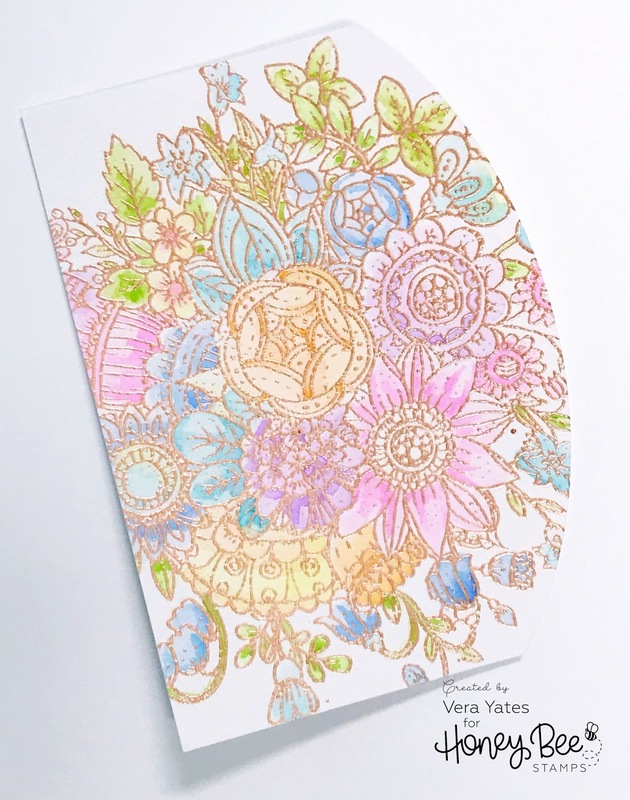 Simply leave a comment on SugarPea Designs blog to enter and winner will be announced on SPD blog on Sunday, June 17, 2018. The SugarPea has made some amazing and creative inspiration for you using the products featured here today. Please visit my teammates’ blogs below for details on their projects. And while you’re there be sure to leave a sweet comment for them, giving you an extra entry to win today’s giveaway prize. Well peeps, that's all for today and see you tomorrow! 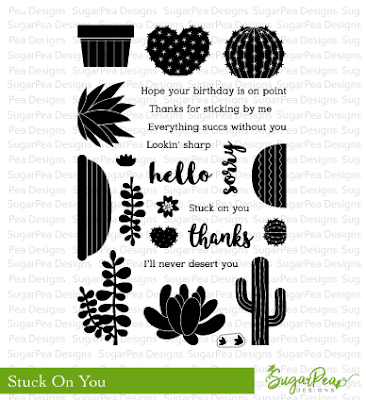 Hi y'all, and welcome to Day 3 of SugarPea Designs Summer Product Release! 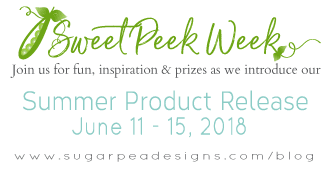 We hope you’ll join us this week as the SugarPea team share Sweet Peeks for the 15 NEW products that will be available for purchase starting this Friday, June 15th at 6 PM EST in the SPD Store. 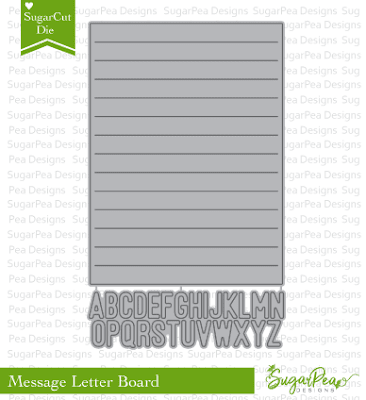 Today we are introducing Message Letter Board, Hedge Hugs Stamp & Dies. Here's my card using all 3 products. And, isn't the hedgehog adorable? I used to have a hedgehog named Coco and she was as cute as can be. This set make me think of her. Let's take a look at the sets, shall we? 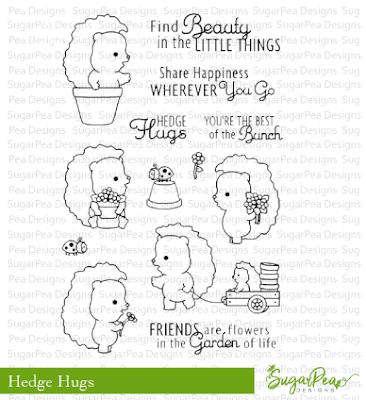 Would you like to win the Hedge Hugs stamp set? 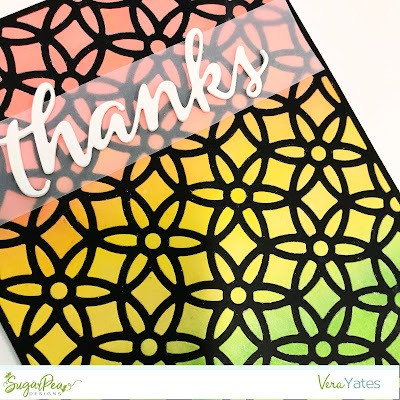 Leave a comment on SugarPea Designs blog! You have all week to comment! Winners will be announced on Sunday, June 17th. The SugarPea team has some amazing and creative inspiration for you using the products featured here today. Please visit each of our designers’ blogs below for details on their projects. And while you’re there be sure to leave a sweet comment for them, giving you an extra entry to win today’s giveaway prize. Thank you for joining us for Day 3 of sneak peeks! Don’t forget to leave a comment here on this blog for your chance to win and on SugarPea Designs blog. We’d love to hear what you think about all of the products that we are showcased today. Hi peeps, welcome to Day 2 of our Summer Product Release! We are sharing Sweet Peek for the 15 NEW products that will be available for purchase starting this Friday, June 15th at 6 PM EST in the SPD Store. 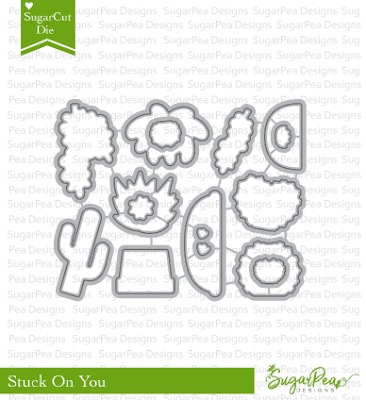 Today, we are introducing Geometric Floral Coverplate, Stuck On You Stamp & Dies set. 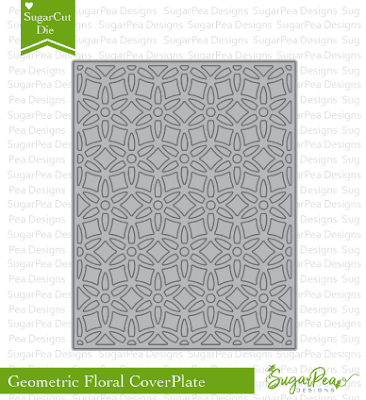 I chose to focus on the Geometric Floral Coverplate set and made this card below. I love the way this card turned out, but oh my goodness!! The whole time doing it part of me was like what was I thinking?? Took me forever to in lay the cut out pieces. So, I first die color a white cardstock panel with some oxide distress ink. Once that done, I ran it through the die cut machine and put that aside. Next, I ran a black cardstock through. I adhere the black cut out to the card base and then one by one pick up the cut out color parts and laid it inside the black frame one by one. Took me about half a day. Hah! Luckily, I was doing this during a crafting day with friends, so at least I get to chat while working on this. The thanks die is from previous release. Here's a peek at all the sets that being introduced today. The SugarPea team has some amazing and creative inspiration for you using the products featured today. Please visit each of our designers’ blogs below for details on their projects. And while you’re there be sure to leave a sweet comment for them, giving you an extra entry to win today’s giveaway prize. Hope you're enjoying day 2 of our sneak peeks! REMEMBER!! The entire Summer Product Release will be available for purchase on Friday, June 15th 6 PM EST. 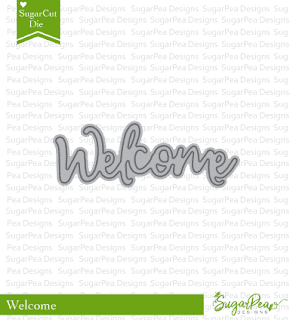 Hi everyone and welcome to day 1 of SugarPea Designs summer release. We hope you’ll join us over the next 5 days as the SugarPea Designers and I share Sweet Peeks for the 15 NEW products that will be available for purchase starting this Friday, June 15th at 6 PM EST in the SPD Store. 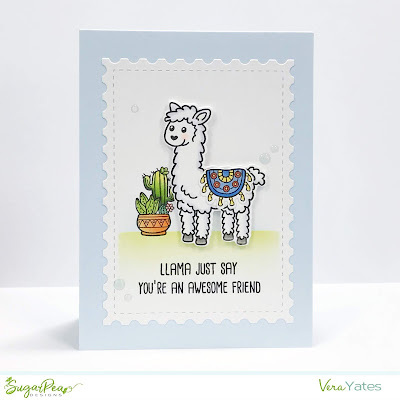 Today we are introducing the adorable Llama Just Say stamp & dies set. Let me just say this release got me squealing with delight. 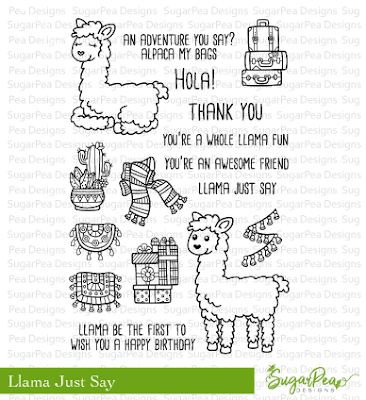 I love llama and so excited when I saw this cute set. I cut the panel using Postage Stamp Coverplate and after I cut it, without removing the dies, I added the green and blue shadow. Once that done, I stamped the succulent directly on the panel and color it. Then I work on the llama. Stamp, color, die cut it and adhere it to the panel with pop dots. Added the sentiment. Adhere the panel to the card base and finished by adding some enamel dew drops. I have a friend in mine to whom I want to send this card to. I hope she'll like it. Here's a look at the set. Now, how would you like to win this set? Simply leave a comment on SugarPea Designs Blog. Winner will be announced on SugarPea blog on Suday, June 17th. Our team has some amazing and creative inspiration for you using the products featured here today. You can visit each of our designers’ blogs below for details on their projects. And while you’re there be sure to leave a sweet comment for them, giving you an extra entry to win today’s giveaway prize. Thank you so much for joining us for Day 1 of sneak peeks! REMEMBER!! The entire Summer Product Release will be available for purchase on Friday, June 15th 6 PM EST. 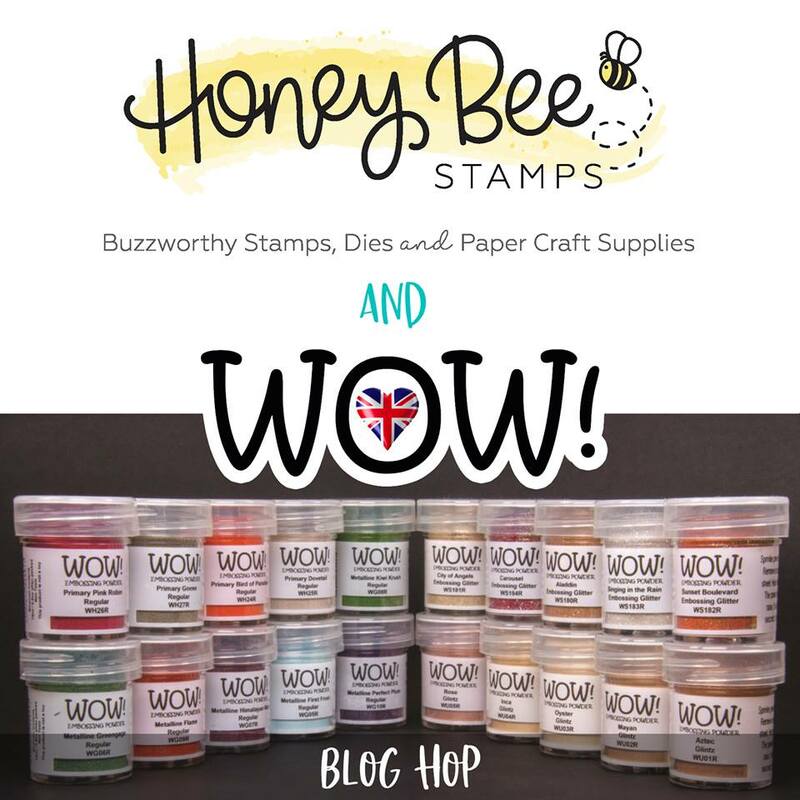 Hi peeps, welcome to a very special Blog Hop collaboration with the WOW! 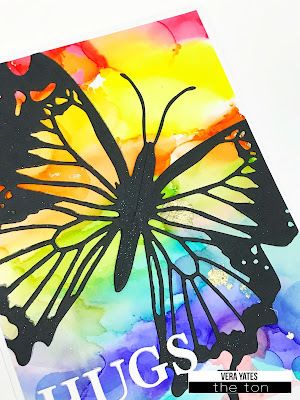 Embossing Powder & Honeybee Stamps. The best part of having a blog hop is meeting, sharing and inspiring one another in this beautiful crafting community. We feel so blessed to have our path’s cross with each other and we all hope this collaboration inspires everyone. If you are hopping along, you should have come from Rosali Bartz blog. 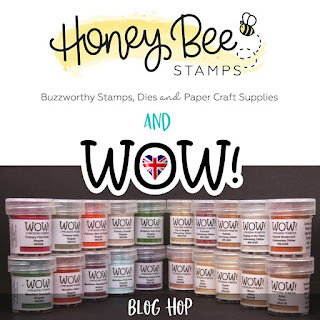 If you get lost along the way, head back over to the Honeybee Stamps / WOW! Embossing Powder blog for the complete list of designers joining in the hop. There's quite a few blog for you to visit, so let's get on with it, shall we. Here's the card I created for this hop. 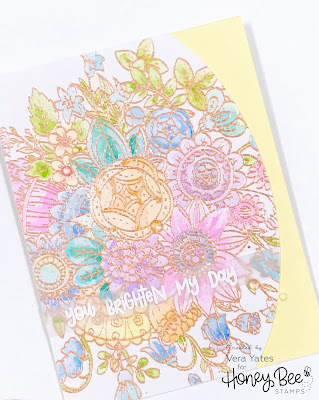 To start I stamped the image from Honey Bee Zen Bouquet on a piece of watercolor cardstock and heat embossed it with WOW! Rose Gold embossing powder. So, pretty, right? What can I say, I love working with this set and that rose gold is such a beautiful color. Once I heat embossed the image, then I watercolor the image. I find this process very therapeutic. I just went to town with all my favorite color and am pretty happy with the way this turned out. Once it dry, I trim the edge with an oval cutter (you could also use a curve dies) and adhere the panel to the card base. For the sentiment, I used Love Bug set on a strip of vellum and heat embossed it with WOW! Super Fine White embossing powder (seriously this is my favorite white embossing powder). Trim the vellum and adhere it to the card. Tip: to adhere the vellum, I place the liquid glue behind the letters, so it didn't show to the front of the vellum. Finish by adding some Wedding Ring Rhinestones (I also place one of the rhinestone on the border of the vellum and the card, to help hold the vellum down). No blog hop is complete without some prizes. Are you ready for some awesome giveaways? Each Company is giving away!! WOW! Embossing Powder- Any 6 powders of your choosing, along with a WOW carrying case to store you powders safely in. The only think you need to do for a chance to win is leave a comment on each of the design team member’s blog hop. The Winners will be chosen at random from the comments left on ALL THE POSTS of this blog hop by 12 pm EST on 14th June 2018. and will be announced on the blog on 15th June 2018. That's all from me and I hope you enjoy the hop. From here please hop on over to Olga Lukaseviciene for more fun inspiration. Thank you so much for stopping by here. Have a blessed Friday everyone. Hi peeps! Welcome to The Ton Summer Kickoff Blog Hop. I am so excited to have you joining us as we have some pretty & fun projects to share with you. This hop basically just a fun hop to highlight products that been released recently. And, we have quite a few!! So, let's get on with it, shall we as I have quite a few cards to share with you. 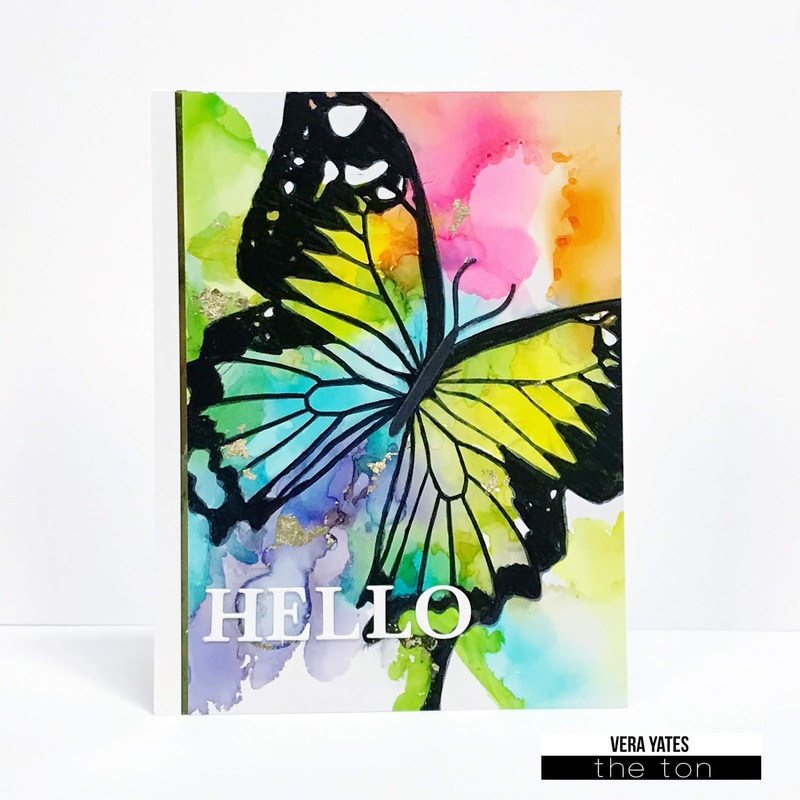 1st up is this happy, colorful card using Butterfly Wings - Swallowtail set. I first stamped the butterfly wings to yupo paper and then add the alcohol inks to the paper, blowing the ink around with a straw to help spread the color. Then before the ink complete dry, I added some loose gold gilding flakes. Once that done, I die cut the word hello from Peony Laurel dies set. Next is a card that is just a slight variation from the 1st card. This card was actually my almost fail card. 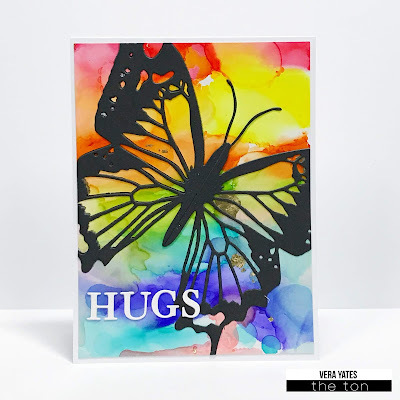 When I did this card, I did the alcohol ink first and then when I tried to stamp the wings, the ink just wouldn't stick. So, after almost ditching it, I found that I can save it by using the Pop-Up Butterfly Dies - Swallowtail (I simply trim the part that I don't need, you'll see it on my last card). Now, my last card definitely complete opposite of the first two cards. This one all soft!! 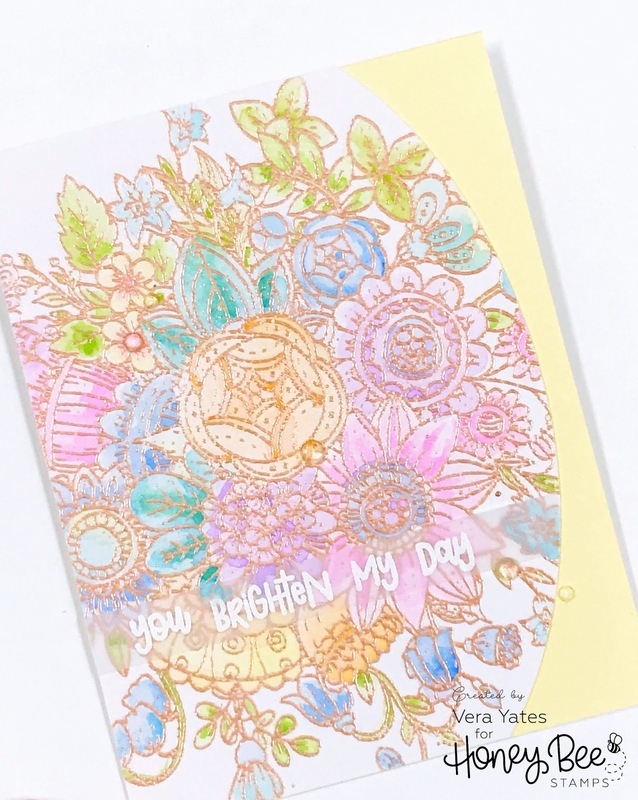 I stamped Magnolia Fields for the background and added some shadows to the flower buds with Copic markers. 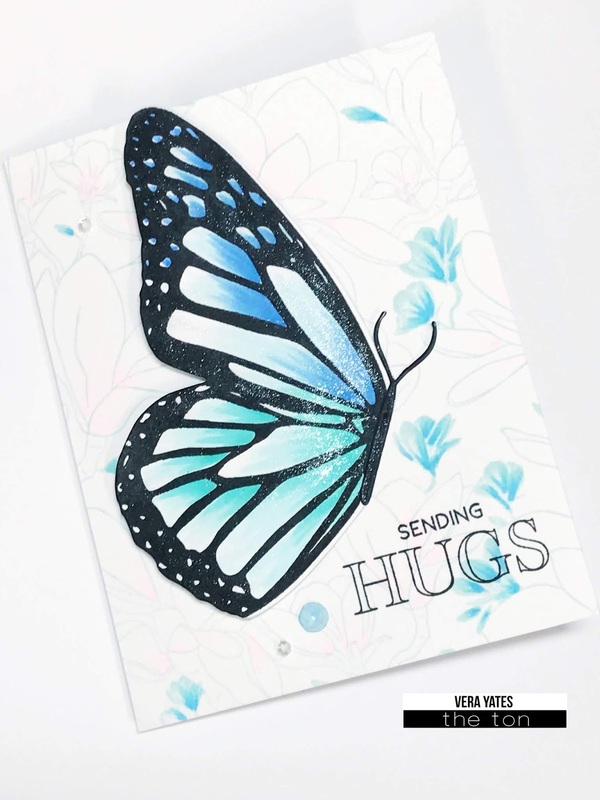 Then I stamped the Butterfly Wings Monarch, color it with Copic and die cut the wing with the Pop-Up Butterfly Dies Monarch. The sentiment is from Peony Laurel set. 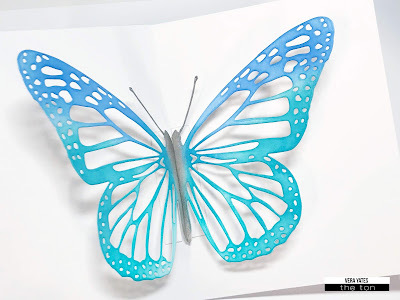 Now there's 5 pieces on the Pop-Up Butterfly Dies Monarch, 2 of them are for the pop-up inside the card (although you can use it for the outside just like I did with my 2nd card, by trimming the rectangle strip that allow you to adhere the wings inside). Once I die cut the pieces, I inked them and then slide the pieces together and adhere to the card. And, tadddaaaa... you have this beautiful surprise when you open the card. Gorgeous right? Of course, we have giveaway!! We are giving away a stamp set from the Ton of your own choice (not including the bundle) for each stop on the hop. To qualify you need to leave a comment on each blog by midnight Sunday, June 10, 2018. Winners will be announced on The Ton blog shortly after that.